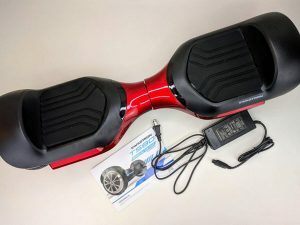 The popularity of hoverboards back in the year 2015 was also accompanied by a certain technical glitch in the device that led to people having second thoughts about buying them. A lot of hoverboards in those days experienced battery short circuits, causing the device to catch fire. Due to this issue, these gizmos suffered a major setback, and their popularity hit the back door soon. But, for those who are great fans of the hoverboards, there’s good news! These devices are back in the market with loads of new features and safety precautions. All those technical issues in the past have been fixed, and now you get to ride the safest and most feature-rich models in style and comfort. SwagTron has made a name in the hoverboard industry with their amazing models that can win the heart of any rider. In fact, SwagTron hoverboards are among the best boards in the world. The SwagTron T580 Bluetooth Hoverboard, with its sleek and stylish design, is an excellent quality model that is suitable for all riders. If you’ve been wanting to buy a hoverboard, but are not sure which one to choose, you should probably give this model a try! Here’s all you want to know about the SwagTron T580 self balancing scooter. When it comes to the SwagTron T580 Hoverboard, SwagTron’s slogan, “Adventure begins with your feet” is true in every sense. The SwagTron T580 has passed several safety and electrical tests to ensure there are no fire hazards. In addition to being UL2272 certified, the device also has an incombustible outer casing that protects the hoverboard from short-circuits or from catching fire. The batteries are protected by smart battery management systems, which monitor their charging and discharging process. The patented Sentry Shield technology implemented in the SwagTron T580 provides protection in multi-dimensions. All these safety features allow you to ride the hoverboard safely and securely. When you buy the T580 hoverboard, you get to choose between 3 modes of riding. Beginners or inexperienced riders can choose the learning mode while intermediate riders can practice their riding skills, using the standard mode. More experienced and expert riders can, however, go on to the next level by choosing the special advanced mode that is accessible via the mobile app. 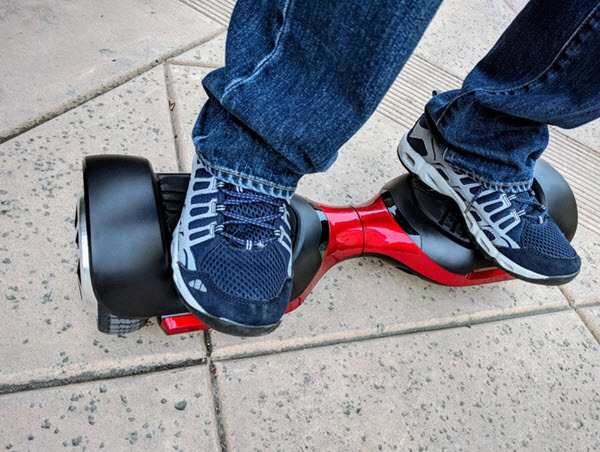 Riding the T580 from SwagTron is so easy that even kids can become expert riders in a short span of time. All you need to do is step on the non-slip footpads and lean forward or backward. The gyro-sensors will detect your movements and respond accordingly. As you shift your body weight, the dynamic equilibrium allows you to fully control how fast you want to ride and where you want to go. The SwagTron T580 self-balancing scooter comes with almost all the features that you would want from a hoverboard. Best of all, the dedicated iOS and Android mobile app, and integrated Bluetooth speakers allow you to enjoy every moment of your ride. 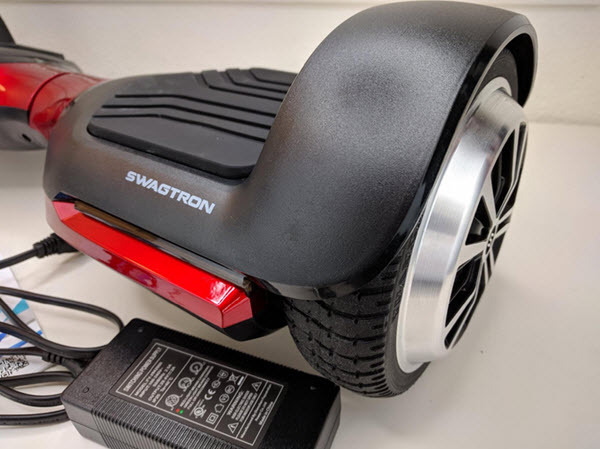 SwagTron gives high priority to safety, and that is why the T580 comes with a wide array of safety features, including UL2272 certification, an incombustible outer casing, non-slip footpads, smart battery management system, and their patented Sentry Shield Technology. Although lightweight and portable, the T580 self-balancing scooter is also sturdy and durable that can easily carry riders in the weight range of 44-220 pounds. This means that kids, teens, and adults can have equal fun on this hoverboard. The dual 150W motors allow you to enjoy a powerful, yet smooth ride on the hoverboard. With this device, you can easily climb an incline of up to 30 degrees. The 6.5″ hard rubber tires with aluminum rims provide increased stability and sufficient traction. A single, full charge of the battery lets you travel up to 8 miles with a maximum attainable speed of 7.5 mph. For music lovers, listening to music while traveling brings more fun to the journey. The SwagTron T580 hoverboard is fitted with Bluetooth speakers that let you listen to your favorite songs from your cell phone while riding the device. 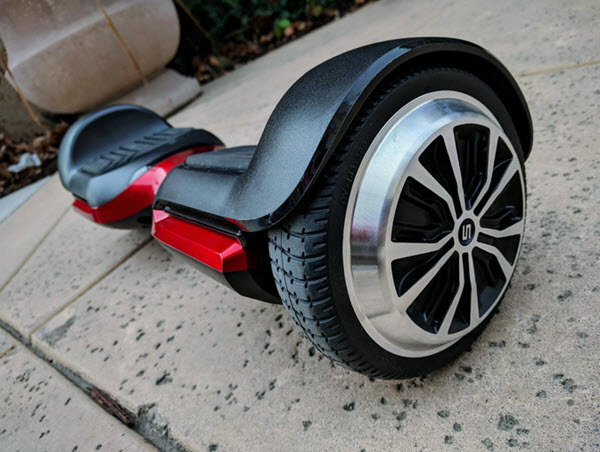 This is an app-enabled hoverboard which means you can use the mobile app to control various features of the board such as checking the battery life, switching between modes, varying the speed, playing music, planning your routes, and more. Limited range of 8 miles. If you’re planning to gift a hoverboard (self-balancing scooter) to someone, the SwagTron T580 is probably your best option. This lightweight and portable device is perfect for riders of all ages and also for those with varying levels of skills and expertise. The T580 is easy to handle and comes with many safety features that ensure a safe, smooth, and more controlled ride.